A 180 million-year-old fossil has shed light on how some ancient crocodiles evolved into dolphin-like animals. The specimen – featuring a large portion of backbone – represents a missing link in the family tree of crocodiles, and was one of the largest coastal predators of the Jurassic Period, researchers say. The newly discovered species was nearly five metres long and had large, pointed teeth for grasping prey. It also shared key body features seen in two distinct families of prehistoric crocodiles, the team says. Some Jurassic-era crocodiles had bony armour on their backs and bellies, and limbs adapted for walking on land. Another group had tail fins and flippers but did not have armour. The new species was heavily armoured but also had a tail fin, suggesting it is a missing link between the two groups, researchers say. It has been named Magyarosuchus fitosi in honour of the amateur collector who discovered it, Attila Fitos. 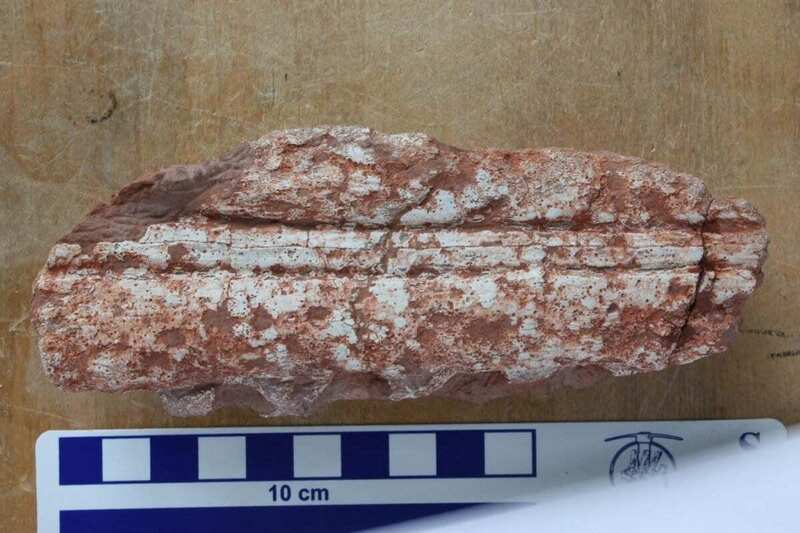 The fossil – unearthed on a mountain range in north-west Hungary in 1996 and stored in a museum in Budapest – was examined by a team of palaeontologists, including a researcher from the University of Edinburgh. It was identified as a new species based on the discovery of an odd-looking vertebra that formed part of its tail fin. The study, published in the journal PeerJ, also involved researchers in Hungary and Germany. It was supported by the Leverhulme Trust and the SYNTHESYS project, part of the European Commission’s Seventh Framework Programme.